mghorayeb had the most liked content! 2006 Porsche 911 Carrera S Coupe, 6-speed. JUST PURCHASED: 1986 911 coupe - a few questions. Been tinkering for a few days already. I need: - clear instructions on how to reassemble the fuel door latch mechanism - need to install new cable, but mechanism is in pieces. Missing the bumper and cable, but having a hard time putting latch and spring together. - do all instrument gauges have replaceable bulbs? - are A/C compressor and fan knobs lit (backlit) or not? - had to disconnect passenger side window switch as fuse #1 was tripping slowly. How to easily figure out if it's switch or window motor that needs replacing? I'll have other questions shortly. Thanks in advance for the assistance. Hey cfwells, Who did you go to in Sourh Miami? Anybody you might recommend? I am now living in Naples and am looking for good independent garage. Preference would be on this side, but good to know of other options. Dear Uwon, Thanks for the detailed response. I will certainly check out all the resources you suggested and am excited to join the PCA. We had been active with the excellent Porsche Club United Arab Emirates till our recent return to S. Florida. Hi, I take delivery tomorrow/Wednesday of a beautiful 2 owner 76K mile (documented) honest car. Very excited to be back in a 911 after a 3-month break. Questions: - How to replace fuel door cable? - Windows and sunroof all stopped working simultaneously per previous owner - how to address? - 16" tire recommendations? - Oil recommendations? - Sourcing 80s vintage Blaupunkt? - Sourcing parts? Pelican the best? 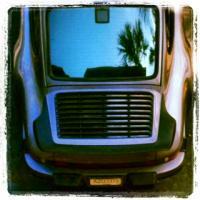 - Good independent mechanics in Naples, FL? - Any other sites recommended? - Additional advice? I will drive car daily, and car will be gently tracked once in a while. Thanks in advance. Appropriate no and reasonable no, but the quote doesn't surprise me. This is 10+% of the car's value! I suggest you also go directly to Porsche for a second opinion and quotation (it can't be any more than what you were quoted). The parts are expensive (big parts are the whole rail assembly and the motor), but the labor is the killer - access to the mechanism is restricted and time consuming. Take a look on eBay where occasionally you can buy the whole assembly with roof, rails, and motor for less than $1K. Ascertain that your mechanic doesn't damage any of the trim or the headliner. Since he's going in there, make sure he takes a good look at everything, cleans, aligns, and lubes it up, so you're good to go for the next years. If you're handy and confident, you might want to take the job on yourself. I love having a sunroof, but when things like this happen, I think about having extra headroom, and less headaches. Another less attractive option is to leave it as is, and hopefully the tilt function still works. Best of luck with it, and please update me on how it goes. I believe one of the cables has snapped (unless it's gone off the track, which is unlikely). Don't try to force it shut, and get someone to look at it. The part is not expensive, but you're talking about several hours of labor. Use someone good, because you don't want the headliner and trim scuffed up. I had something similar happen but managed to get the sunroof closed (with scoring marks on the track). I left it as is, and would almost prefer a car without a sunroof as a result. The older cars had a point of entry for sunroof repair via a zipper in the headliner - wish they'd done this in the later cars. Best of luck. RennTech.org - Celebrating our 10 Year Anniversary! Hi Loren, Thanks to you, the RennTech volunteers, and contributing members for a great site. Many of us would be lost without this excellent resource. The small contributions I make are some of the best $ I've spent. Here's to many more years of RennTech, and our enjoying these wonderful cars. Happy Birthday! I'll hopefully celebrate by replacing my recently sold 997.1S with a 2002 X-50 996TT I've been eyeing. Hopefully others will celebrate this great birthday by becoming contributing members. I think it's to be used to remove your fog-lights. Check the owner's manual for replacement of fog-light bulbs... Then I Googled it, and it appears to have something to do with remote control, but I can't find anything further. Just a thought: I had the Porsche iPod interface in my 2006 911S (just sold and will be returning to the US where I hope to buy my next 911). Though it worked with several iPod generations, it would only charge generation 3 iPods. Your 2010 Turbo is not charging your particular iPod (what generation is the iPod? ), and may be switching to the radio once the iPod runs out of power. You may want to try a different iPod with the same vintage as the car, and may find that it will charge the iPod and keep playing. Curious to hear the outcome. Best of luck. I have 305/30/19 instead of the stock 295 on Sport Design wheels without any spacers etc. (on 2006 997-1 S), and no issues whatsoever, even when pushing the car...Subtle but welcome visual difference as tire is more flush with fender. Go for it. I had my fluid changed at the dealer at around 55k kms several months ago. The weather is crazy hot here, and the car is tracked a couple times a year. Either way, I like to get on it regularly...I had been experiencing some grinding (more tactile than aural), especially when "cold", and mostly going from 5th to 6th (but generally around 4th, 5th, and 6th). I believe the Porsche recommended fluid replacement interval was around 120k kms. Everyone here (including those at Porsche) told me that changing the fluid would exacerbate the problem, but my other options were ugly (costly transmission repair or replacement), so I insisted on the cheap/easy option. It took a couple days for the transmission to smooth out to normal - I imagine the new oil had to get into all the nooks and crannies. I definitely recommend changing the transmission fluid much earlier than recommended, and after considerable research (on this site and others), opted for OEM fluid change at the dealer. If I remember, it only cost me about $175, and was well worth it. In general, Porsche knows best. Get it on a lift ASAP, take the front wheels off, and take a close look at all components. No sense in speculating. ...and while you're down there see if there's any residual damage along the bottom of the car. We're with you, Boston. I just destroyed mine parking like a schmuck (concrete parking dividers...). Is the part number the same for a 2006 C2S 6-speed? I also need the 2 side rubber scoops that are perpindicular - I believe they control back air pressure from radiators. Anybody know part numbers for these also? Thanks in advance.